So how am I feeling…? So here’s my second post before going into surgery. 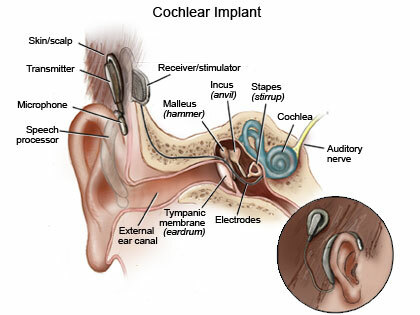 My wonderful wife Roxanne commented that I didn’t share any of my feelings about the upcoming cochlear implant surgery in my initial post. She went on to say that people want to know how I feel about this-and-that. Well, she was right, I didn’t write about how I was feeling and I said to her in so many words that, “I was just setting the stage for what the blog will be about,” knowing all along that she knows me better than I know myself sometimes. And that is pretty damn scary. The truth is, it is harder to write about feelings than facts; not sure why, guess it has to do with it being a personal thing. I’m also a little nervous about this surgery being an outpatient procedure. I figured if I’m going to have a receiver and stimulator secured in the bone beneath my skin and have a hole drilled into my head whereby 22 electrodes are inserted into my cochlea which then sends impulses to the brain… I figured I would be in the hospital one night! 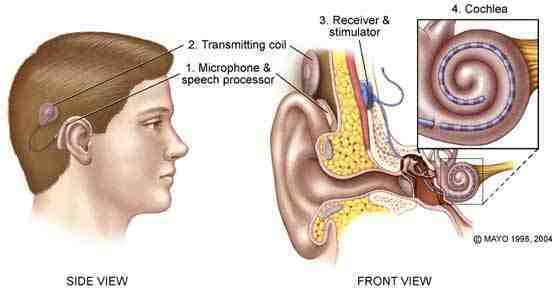 Think of your auditory pathways as like a gravel road at the moment … cars can’t go fast on them, electrical signals can’t whizz up them. But everyday, the workmen are laying down the foundations of a super highway, smooth and capable of cars going 250 kms an hour. It takes time to do this … weeks, months and even a couple of years … but you’ll notice the difference … week by week, there’ll be a detectable difference. You’ll enjoy the journey, no matter what the speed. This excellent analogy, taken from a blog written by Kate in Australia back in 2010, has really helped set my expectations. Although I’ve read a number of blogs in recent weeks, Kate’s blog inspired me to start my own blog.